How do you decorate your packaging for the best possible impact with consumers? Do you know all the options available to you today? At Schwartz Brothers Printing, you will work side by side with our skilled design and build teams to bring your ideas to light. Customer service is very important to us and we are committed to assisting you with your project from start to finish. 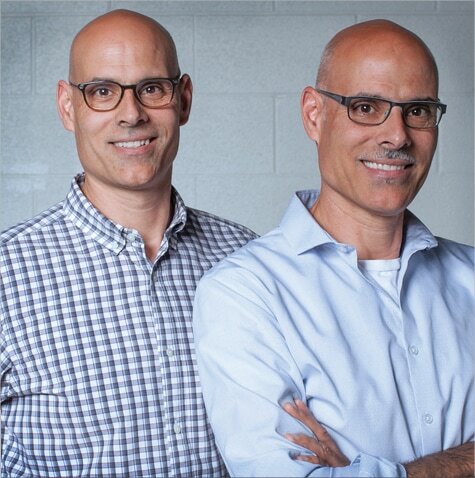 James & John Schwartz are identical twins born and raised in a small mid-west rural town. They grew up exploring the woods and farmland around their home and would often be found in their grandfathers tool shed brainstorming over found objects with a vision and passion in creating something special. In College, James focused on advertising and marketing with an emphasis on photography. John chose engineering as a profession. The two have had extensive careers within their chosen industries being business owners thru out much of it.